Garden walls can be used for both practical and decorative purposes. Both of these are services that we offer here at Plastech Windows. We have lots of experience in building a variety of garden walls for our clients across the UK so whatever your needs, we are sure that we are the right team for the task. NEED EXTRA SECURITY FOR YOUR PROPERTY? We understand that safety is a concern for many people today and garden walls are a great way to increase security. Our bricklayers are fully trained and dedicated to completing every task to an extremely high standard that they can be proud of. Our garden walls are made from quality bricks and laid meticulously to ensure that it will endure even the harshest of conditions for years to come. An excellent way to add a focal point to your garden is to add a decorative wall. Not only can this be a great way to separate two sides to create a double landscape effect, it can also add an exciting element to ponds, vegetable patches, pathways and patios. We can also build retainer walls to keep water and earth contained in the area they are designated to keep your space looking tidy and visually pleasing. We have a range of natural stone, brick and replica finishes, so whether you are looking for a contemporary look or a more traditional option for your garden wall, we are sure to have exactly what you’re looking for! 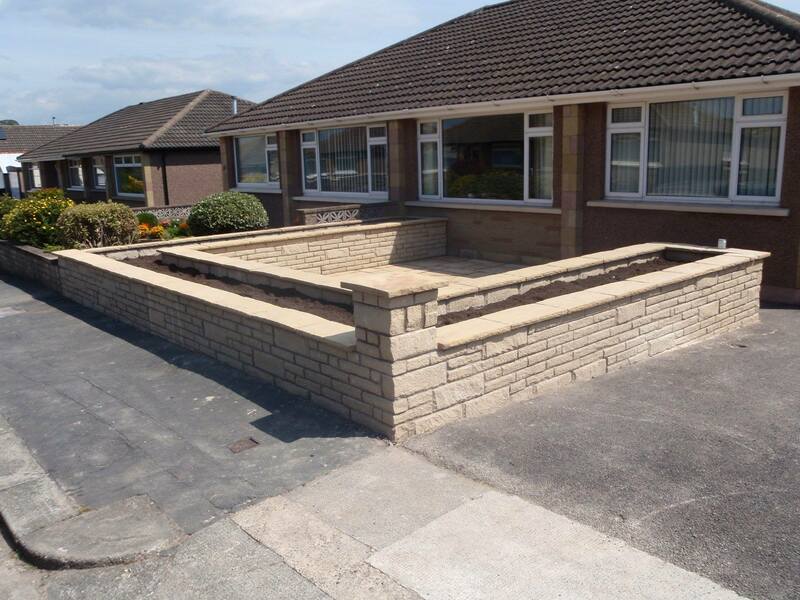 For more information on our garden walls and on the other services we provide, please give our team of builders a call. We are happy to answer any enquiries you have and offer a no obligation quote free of charge.